This 8-session workshop focuses on fall prevention and increasing physical activity. Designed to improve balance, flexibility, and strength. 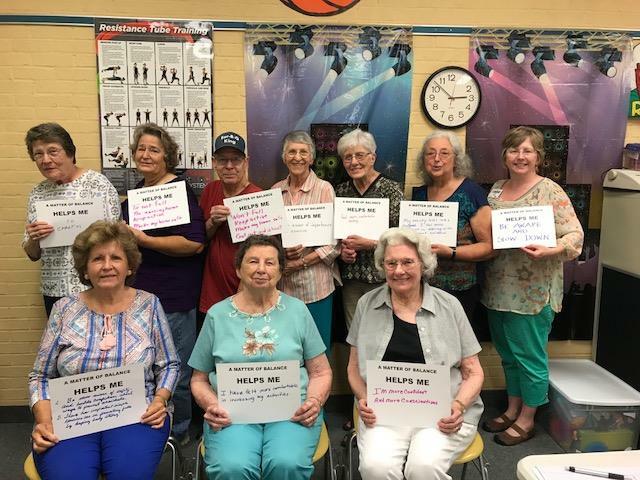 Workshop includes activities to improve balance and strengthen muscles, as well as discussion about fall prevention steps to make throughout your home. Facilitators: Linda Minges and Ruth Murphy. Offered at no cost to you through the North Carolina Cooperative Extension!